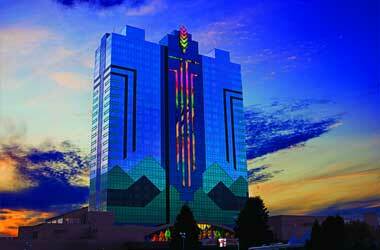 The Seneca Niagara Casino & Hotel located a few miles from the Canadian Border will play host to the 2015 Seneca Fall Poker Classic this November. The tournament is expected to commence on the 13th of November and have a total of 6 events and will conclude on the 23rd of November. The highlight of this tournament will be the special $200,000 guaranteed main event that is expected to draw some of the top poker players in the nation. PokerNews is expected to cover the tournament and will cover the following events: $200 No-Limit Hold’em from Nov. 13-15 which has a guaranteed prize pool of $50,000; Event 3: $100 No-Limit Hold’em from Nov. 16-19 which has a guaranteed prize pool of $50,000 and Event 6: $1,000 No-Limit Hold’em Main Event from Nov. 20-23. The main event will take place at the hotel’s balcony as the casino is expected a huge number of registrations. Players who are over 18 years of age will be eligible to take part in the main event. The main event will commence with starting chips of 30,000 and play will be broken into 40 minute levels on the first day. These levels will increase to 50 minutes during day 2 and 60 minutes during day 3. Players who manage to advance past both day 1s will only be allowed to take the biggest chip stack into the next round. Day 1 will be closed once level 15 is crossed or when it is down to just 12 percent of eligible players and the choice will be made based on whichever happens first. Players who are interested in taking part of the main event have the chance of participating in a satellite event which has been running from the 25th of September. There will also be a mega satellite event held on the 7th of November to encourage as many players as possible to sign up for the $1,000 buy-in to the Main Event. This mega-satellite event will take place at 3 pm and come with a $145 entry fee and have a total of five seats left to be won to secure a spot in the $200,000 guaranteed main event. Some of the other events available for players to qualify for the main event include a $145 qualifier on the 4th of November at 9 pm where 2 seats to the main event are available and more $145 held on the 13th, 14th, 19th and 20th of November. If you looking for Canadian online casinos why not have a look at our list of the best Legal casino sites.